This is another appetiser that’s very quick to throw together and with Super Bowl just around the corner a perfect snack to add to your party table. 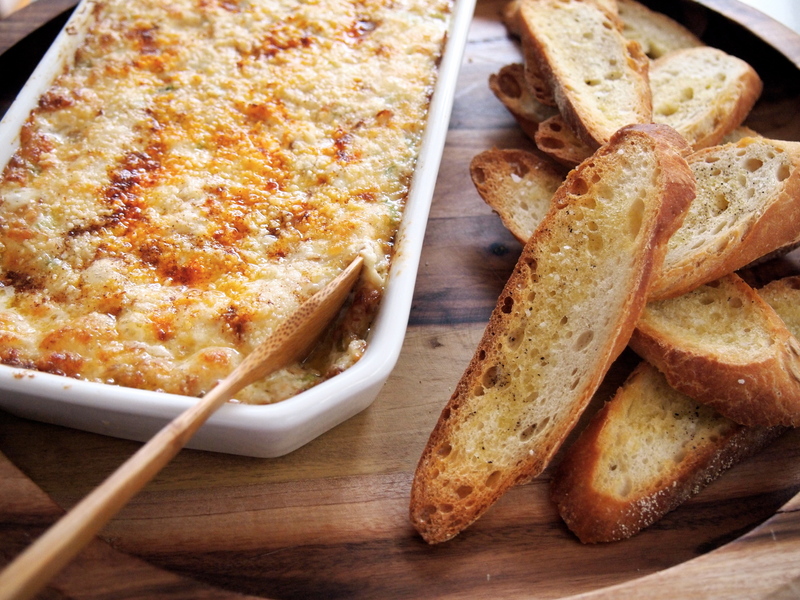 Hot, gooey and cheesy this dip is a real crowd pleaser. I normally serve this with thinly sliced and toasted baguette but any firm cracker will do. 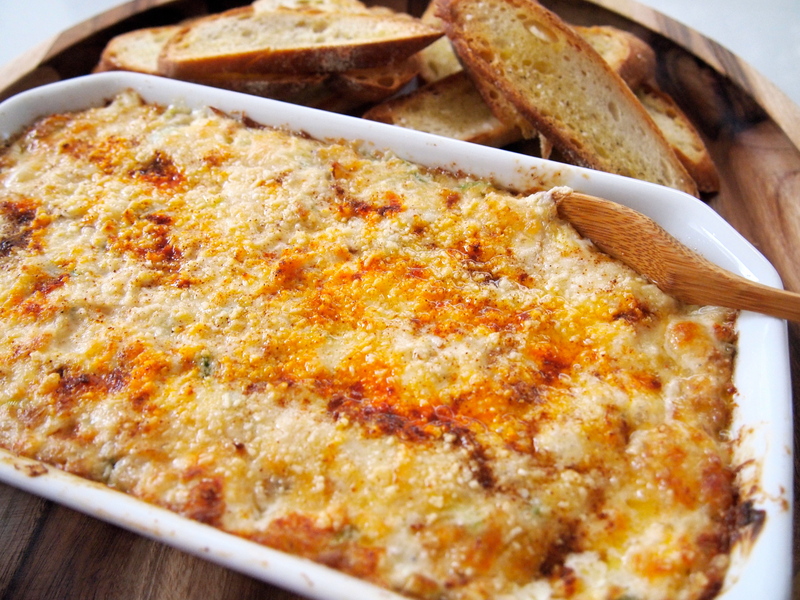 It’s quite rich so a little bit of dip goes a long way and the quantities below would be enough, as a pre dinner appetiser, for at least 4-6 people. I use pre-cooked and vacuum packed crab which is readily available here in supermarkets and fishmongers and for a dip like this it works just fine. 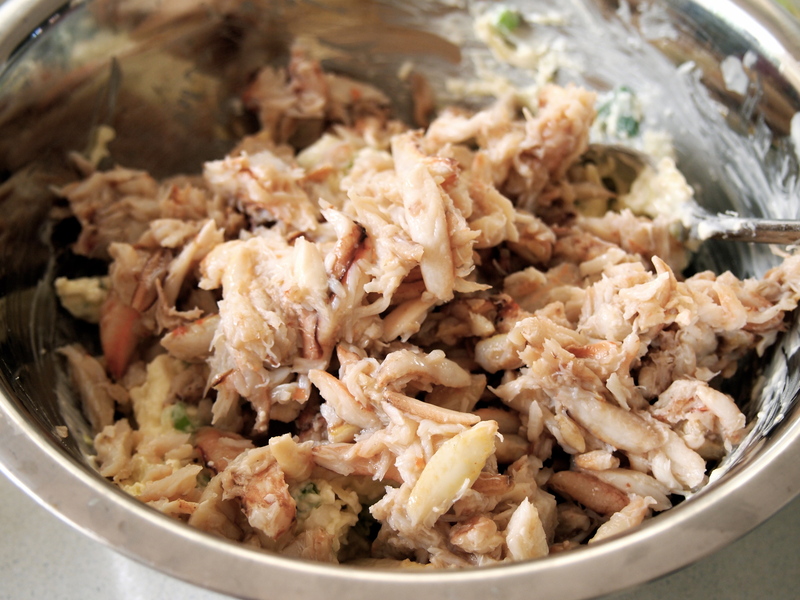 Try to avoid using canned crab meat if you can as it has an inferior flavour. The alternative is fresh crab meat which can cost a pretty penny in Sydney but if your lucky enough to live somewhere where crab meat is cheap and plentiful then by all means use it. If you’re looking for more Super Bowl snack ideas try this and this. Heat oven to 200C. 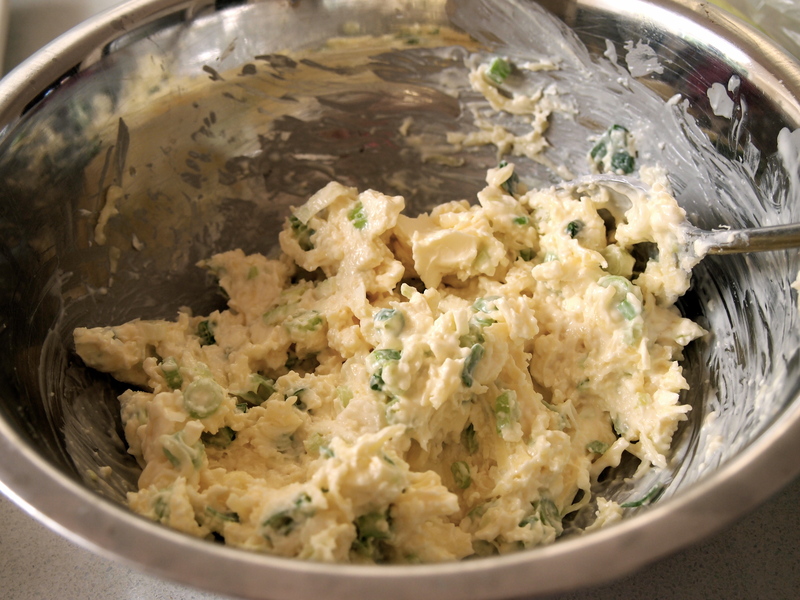 Mix cream cheese and mayonnaise in a bowl until well combined. Stir in lemon juice, tabasco and spring onions. Fold in crabmeat, gruyere cheese, salt and pepper. Spread in shallow baking dish. 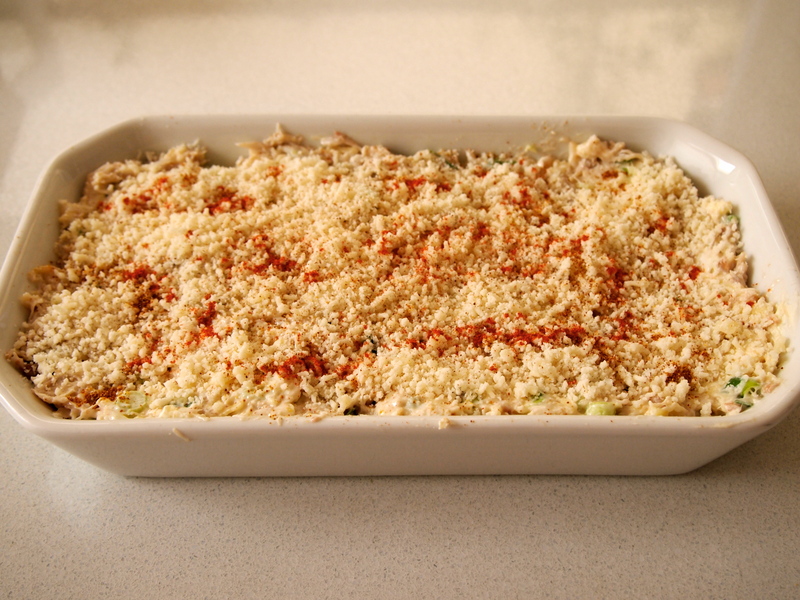 Sprinkle with the parmesan and a light dusting of cayenne pepper. Bake for 15 – 20 minutes until bubbly and golden. Serve hot or warm with sliced bread or crackers.